Since receiving the Emerging Young Leaders Award, our ten recipients have been quite busy changing the world and being the change that they wish to see in it as well. Last week, all ten leaders participated in a webcast with Legacy staff and the Department of State. It was the first time many had seen each other in six months and there was a lot of exciting news to share. Here is a recap of the amazing updates from the #EYLeaders. 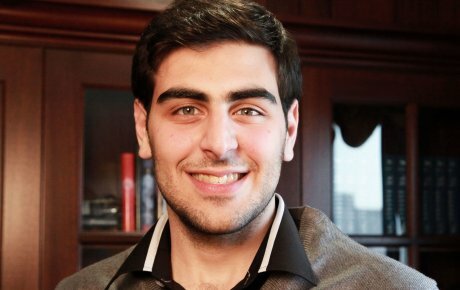 While completing his senior year of his B.A.in Business Administration, Basel Almadhoun has already returned to the U.S. once to participate in the Global Village for Future Leaders of Business and Industry Program at Lehigh University where he participated in a five-week applied leadership, management, and cross-cultural training program including more than 95 individuals from around the world. Basel is an integral member of Gaza Sky Geeks Accelerator, funded by Mercy Corps and even helped coordinate their Gaza Challenge 3.0 engaging teams in a competition to win a seat in the Gaza Sky Geeks incubation boot camp. In addition to all of this, Basel received the USDOS Alumni Engagement and Innovation Award (AEIF) to help develop and expand his own debate program. With this award he created bi-lingual training manuals, trained facilitators and refined his curriculum for Mini DDD (Discussion, Debate, Dialogue) events. On October 31, DDD training was delivered to high school and college students outside the main cities in Gaza in towns with very little extracurricular activities. The college student training application will be published on November 15 and he hopes to complete the project by February 2017. Basel is currently coaching soft skills (business plans, pitching and marketing and branding) for young women ages 13-18 as a part of Banatech program that is funded by US Consulate in Jerusalem. 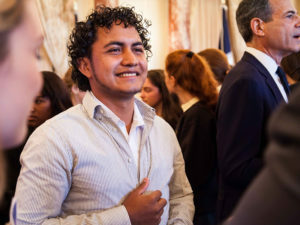 Jessel Recinos Fernandez from Honduras has dedicated his life to saving young people from living lives of violence and/or becoming victims of violence. Through his organization Skate Brothers he has been able to do just that. On August 11, he was among ten Hondurans recognized at the Presidential House for their positive contributions to society and an article about his work appeared in local paper as a result. In September, Jessel worked with Alianza Joven Honduras (ALH) in Tegucigalpa and during that time he met with local skaters to create partnerships for the development of extreme sporting events in Honduras. In October, he returned to his hometown of Cofradía to continue working with the youth in the construction of a skate park. Jessel’s Skate Brothers organization is working hard to to find consistent backing from funders and the local government. His dream is to create skate clubs throughout Honduras. 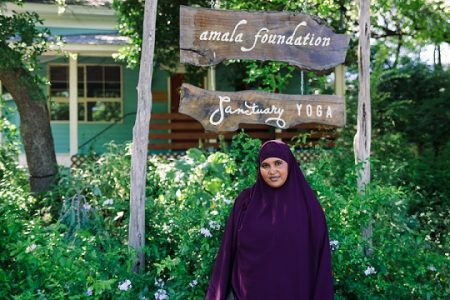 Asha Hassan continues to dedicate her time to work with Somali youth in Garissa County, Kenya using the training she received on countering violent extremism from an USAID-funded CVE workshop. As the Vice President of the Garissa County Youth Bunge Forum, Asha has developed village and county level youth-led units spearheading dialogue and reconciliation among the various clans in the region. One of her passions is to mobilize Somali girls to be change agents in their communities, teaching children the value of life and warning them against joining extremist groups. She has used mass media to warn youth about the causes of conflict in the community, and educates teens about religious scriptures so they can be more alert to distorted messages. Since her return to Kenya, Asha has organized Interfaith forums. Legacy International introduced Asha to the Amala Foundation when she travelled to Austin and they invited her to attend their Global Peace Summit in Meru, Kenya, in early October. Asha is busy writing proposals to organizations in search of funding and opportunities for the youth that she serves. Hillary Briffa from Malta has also been extremely busy since receiving her award. Not only is she occupied with her PhD thesis on Grand Strategy at King’s College, she is teaching a year-long module for the second year undergraduates on the history of strategy and the foundations of the Anglo-American relationship. Hillary is due to undertake her ‘upgrade’ exam by the end of term and at the same time planning next summer’s third edition of the summer school she runs for students from the University of Texas at KCL. In what free time she has left, she travels around the globe conducting international Model UNs and this year she participated in the 20th Asia Europe Foundation (ASEF) Summer University (ASEFSU20). This program brought together 47 participants from 45 ASEM countries who spent three weeks traversing Russia, Mongolia and China examining the challenges of contemporary transport and connectivity matters. Hillary and her peers developed real-scenario solutions for governments, businesses, NGOs and local communities linked with 4 major transportation modes 1) road, 2) rail, 3) maritime, and 4) air. Hillary focused on how to better protect railways from potential terrorist attacks. In July, she co-organized the project ‘Addressing Europe’s Unfinished Business’ for the Initiatives of Change Foundation in Caux, Switzerland. This year’s theme was ‘New Reasons for Hope in Challenging Times’ and the aim of the conference was to give an opportunity for people from across the continent to reflect on the changes we each need to make and common actions we can undertake, to help create a more secure, just and sustainable Europe. 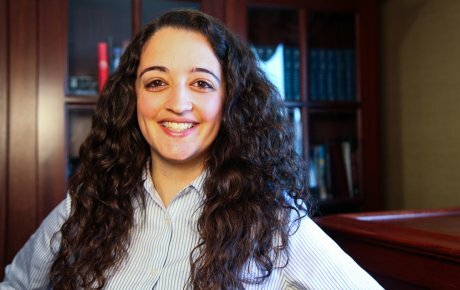 In late July, she attended the University of Texas Clements Center Graduate Summer Seminar in History and Statecraft on an academic scholarship. She also celebrated being published. Her chapter on ‘Malta in the First World War’ appears in the peer reviewed, edited volume ‘Languages and the First World War: Communicating in a Transnational War’ published by Palgrave Macmillan. On October 5th, Hillary was part of a panel at the Royal Commonwealth Society in London, speaking on how youth can enact change in the Commonwealth. She also participated in the Commonwealth Youth Programme’s #CommonTies initiative. At the start of November, Hillary is co-organizing the Cambridge University International Model United Nations 2016, bringing together 500 students from around the world to debate issues under the overarching theme ‘Addressing Gender Equality’. In December 2016, the Ministry of Foreign Affairs of Japan has awarded her a scholarship to attend the ‘MIRAI’ programme which brings international students together in Tokyo to promote mutual understanding, enhance intellectual discussion and build strong networks among future leaders of the world. Samuel Grzybowski continues the work of his movement in France through Coexister. 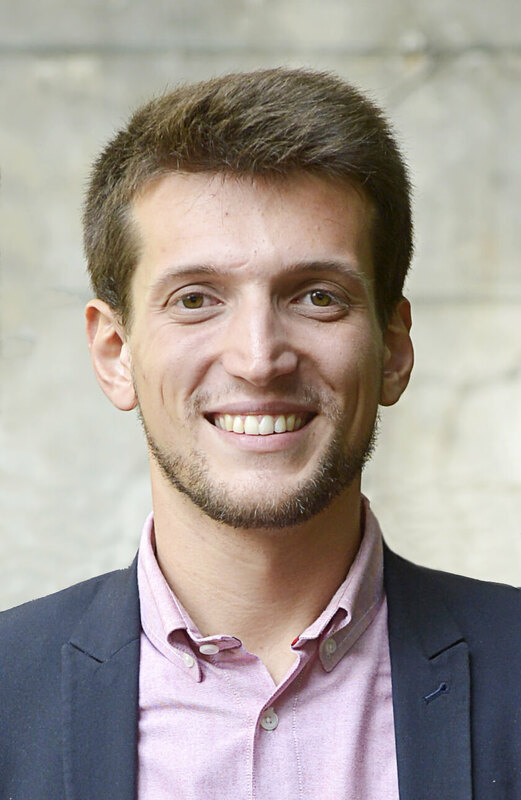 He was featured as one of 50 young entrepreneurs changing the world in L’Express New Journal September – October edition. Through Coexister, he facilitates trainings and has since, expanded his social entrepreneurship program. He has received an increase in requests for trainings to address issues around terrorism. Most interestingly, a number of requests include training prison guards to understand and identify different religious expressions of Islam, and how to work with inmates from different belief systems. Four of the primary focus areas for training include international impact, religions of the world, French secularism, and how to live together peacefully. Sam recently created a short video La Laïcité en trois minutes as part of these educational efforts. In September, Coexister hosted its annual reunion for the national planning commission members so they can further develop policy and strategy for the 40 service clubs in the Coexister association. On September 29th: Coexister was mentioned at the One Young World Summit Sparknews article. On October 8, 2016 Samuel was officially recognized into the Ashoka Fellows network. Stay tuned for part two of the update next week featuring the five remaining Emerging Young Leaders.